Over the years Zagato coachwork has bodied cars from great marques including Aston Martin, Lamborghini, Alfa Romeo, Maserati and more. Zagato designs have prevailed on race tracks and adorned bedroom walls for decades. That makes it all the more startling that a car with this this illustrious badge would end up in a junkyard waiting to be crushed. Looks ready to drive across Botswana doesn't it? 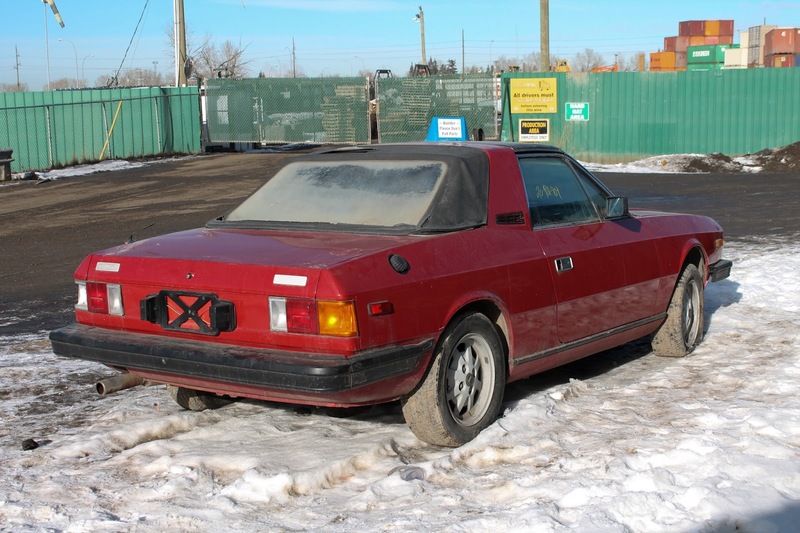 Today's 1981 Lancia Zagato Targa Coupe is one of only 791 ever made. 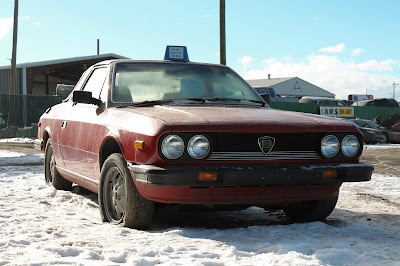 It's odd looks and classically Italian reliability likely contributed to that small number. The odd half-cloth and half-targa roof was a way to deliver an open air driving experience while meeting increasingly stringent safety standards. Painted in "rosso corsa" it's a very striking shape and neat Italian details abound. Many will remember that Jeremy Clarkson decided to drive a very similar Lancia in a similar state of disrepair across Botswana as part of a Top Gear Special. While it's far from the most beautiful Zagato, as a insane creative choice for a daily driver, the Lancia would be wallet draining quite fun. You certainly would be the only person on your street with one. 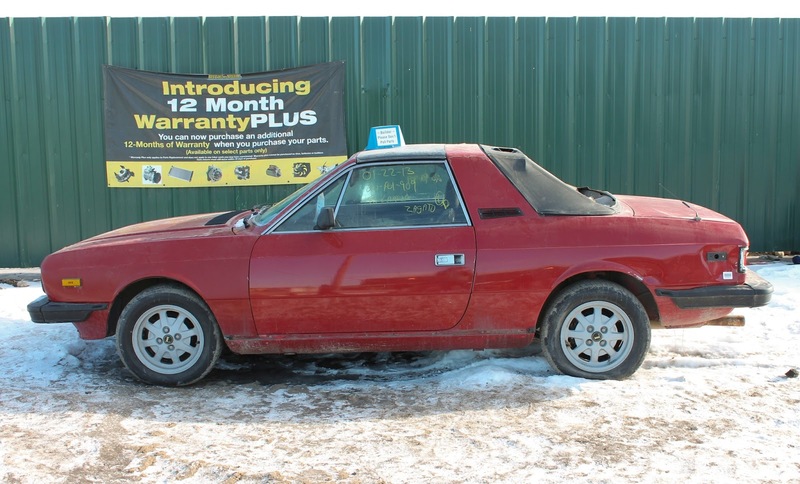 But alas, there is a glimmer of hope for the dejected Zagato; this car is currently sitting in the "builders" section and is offered as a whole for $1,600. This car will most likely be bought as a parts car for a healthier example if it is bought at all.